Chelsea defeat Swansea City at the Liberty Stadium. Cesc Fabregas’ first-half goal enough to bag the three points. 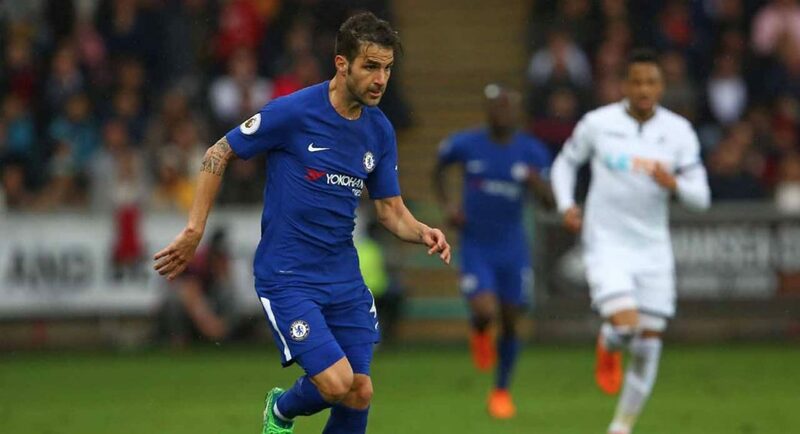 Chelsea defeated Swansea City 1-0 at the Liberty Stadium thanks to a first-half goal from midfield veteran Cesc Fabregas. The Blues headed into today’s contest knowing that nothing less than a win would do if they wanted to keep their hopes of qualifying for the Champions League alive. By winning today, we have put both Liverpool and Tottenham Hotspur under pressure. We got off to the best possible start after Cesc Fabregas fired Chelsea into the lead after just four minutes. Fabregas wrapped his left-foot around the ball and curled it into the top-left corner of the goal. The Spaniard had not scored for 28 Premier League games prior to today. Swansea grew in confidence in the second-half and had opportunities to draw level. However, they were unable to do so and as a result Chelsea will return home with all three points. We’re in for an intriguing end to the season. We still have a chance of breaking into the top four, let’s see what happens. Here’s our player ratings. Kante only a 7 he was equal to Hazard doing his job, Kante was brilliant shielding the defence definitely an 8.